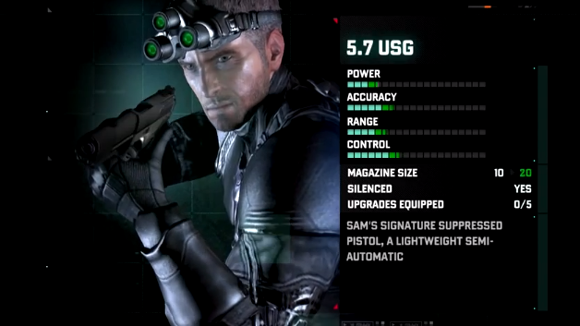 I'm not actually a fan of the Splinter Cell franchise but if you've been playing it you might be interested to see what upgrades are coming your way when Splinter Cell: Blacklist hits shelves. I don't know what I'm talking about here but the trailer's got everything covered through that tech guy's rundown of stuff you can use and fighting modes like stealth and good old gun slinging action. I guess a group called the "Engineers" are demanding that all US troops be called home and leave everything to the dictators and warlords to do whatever they want in their own wars. But hey, like I said; I don't even know what I'm talking about here so just go ahead and watch the whole trailer after the break.